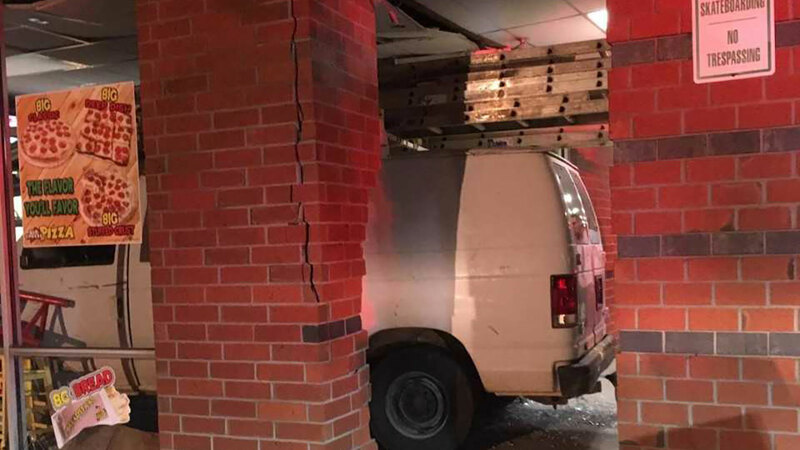 CLAYTON, North Carolina (WTVD) -- A Clayton pizza shop is making repairs this morning after a man crashed a van through the front of a pizza shop. 25-year-old Darlin Manuel Padilla-Sauceda of Clayton and a passenger were inside a white van when they drove through the front door of Big Cheese Pizza at 1373 US-70 BUS. The crash caused damaged windows, tables, and the inside of the building. Luckily, none of the employees nor anyone inside the van was hurt. Padilla-Sauceda was booked into the Johnston County Jail and charged with a DWI. He is being held under $1000 secured bond.